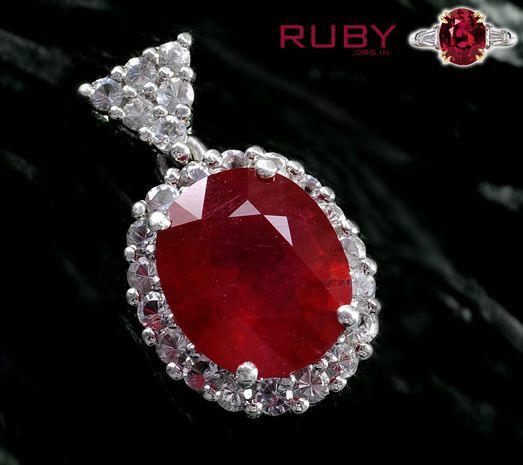 Ruby is a precious gemstone that is truly appealing to people from all over the world. It is a gemstone that exudes unmatched beauty and luxury. Also known as Manik, the Ruby gemstone has a significant place in Vedic astrology and is believed to bring numerous benefits to the wearers. Representing good health, love, and wisdom, Ruby is the birthstone for July born people. This gem has the powers of the Sun, which is the source of vital energy. The Sun represents confidence, life, energy, passion, and happiness. 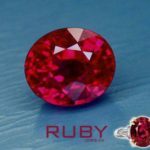 What are the sources ruby gemstones? The stunning natural ruby gemstones are found all over the world. Their formation depends on the combinations of trace minerals, which lead to a difference in their red color. From Mozambique to Mogok and Mong Hsu, there are various regions that are known to produce excellent rubies. Some of the other such regions include Cambodia, Kenya, Madagascar, Malawi, Sri Lanka, Tajikistan, Thailand, etc. Does the quality of ruby stones depend on their sources? Just like the collection of minerals differ in different regions, so does the quality of gemstones formed from them. For centuries now, the Burmese ruby stones have been a thing of beauty, highly valued in various regions of the world. This was particularly due to the fact that a Burmese ruby has a high presence of chromium, which makes the stone look exquisitely red. Likewise, the rubies from Mozambique, Myanmar, and Thailand, all are loved by people from all walks of life. The quality could vary as per the formation of the stone, but as long as the ruby gemstone is original, it will continue to demand great value in the market. 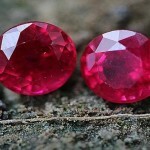 How are ruby gemstones valued? Unlike diamonds, the rubies are not graded. Ruby gemstone prices depend on the color, clarity, cut, and carat. 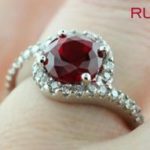 Usually, a ruby with deep red color and a vivid saturation is priced higher than the rest. Likewise, the fewer the inclusions, the better the stone is considered. How To buy a natural ruby stone? Rather than relying on any random seller, make sure you find a renowned and dependable gemstone seller who has been a part of the gemstone industry for many years. When you plan to buy ruby gemstones, choose certified gemstones that are natural and not synthetic ones. Treated gemstones are not always bad, but it should be disclosed beforehand that the gemstone is treated so that it is left to your discretion whether or not you would like to go for it. You should have a proper knowledge about the difference between the natural ruby gemstones and fake ruby gemstones. In any case, consulting with a gemstone expert or buying the ruby stone from the reputed gemstones dealer is important before you invest your money in a precious gemstone like ruby. 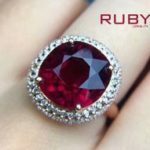 What is the Price of Ruby Gemstones Online? Fine Grade Ruby Gemstone: Price of Fine Grade Ruby Gemstones starts from 2125 INR per Ratti and 3400 INR per carat. Premium Grade Ruby Gemstone: Price of Fine Grade Ruby Gemstones starts from 3525 INR per Ratti and 5640 INR per carat. Super Premium Grade Ruby Gemstone: Price of Fine Grade Ruby Gemstones starts from 6025 INR per Ratti and 9640 INR per carat.